The latest instalment in the highly successful Brotherband series by respected Australian author John Flanagan does not disappoint. This is another epic adventure across land and sea involving pirate invasions, heroic battles and a dangerous rescue mission. Good quality, age appropriate, yet challenging middle grade fiction can be hard to come across. This series ticks all the boxes by delivering an engaging and exciting story that challenges kids’ thinking by exploring friendships and relationships whist engrossing them in adventures where the teenage protagonists hold their own and prove their worth. My ten-year-old is a huge fan of John Flanagan’s work, including both the Ranger’s Apprentice series and Brotherband series and he has been looking forward to this exciting release for some time. 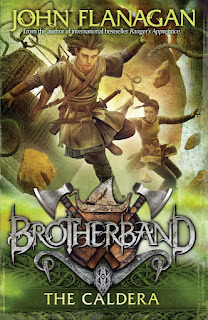 If you haven’t come across Brotherband before, you can read my review of the first book in the series, The Outcasts, here. In The Caldera, the Heron Brotherband are back and ready for another adventure. This time, a stranger from the past comes visiting to lead Hal and his crew on a secret mission. They must sail away under cover of night to plan the rescue of a kidnapped young emperor in waiting who is being held for ransom. 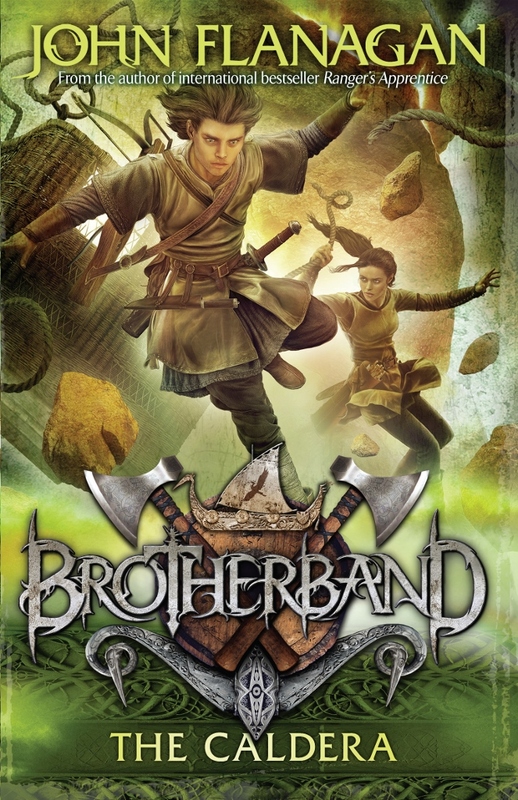 I have not read all the Brotherband books, but luckily this story stands alone so don’t feel you have to make your way through the entire series if you are keen to jump straight into The Caldera. And just in case you’re wondering what a ‘Caldera’ is, apparently it is a crater left by a volcano eruption. In this case, one that is filled with water, making a large, deep lagoon surrounded by rocky cliffs (and an evil pirate compound). As with all the Brotherband books, there are a lot of sailing references and a handy glossary at the beginning if you want to understand all the terminology. However, the terms are utilised well in context so I found I didn’t need to look anything up, even though I don’t know the keel from the bulwark. My ten-year-old wasn't bothered by the sailing references either. Brotherband is a great middle grade series that comes across as an exciting adventure novel but also deals subtly with issues of friendships, parental relationships and coming of age. If you would like to know a bit more about the author, you can read our 12 Curly Questions with John Flanagan here.